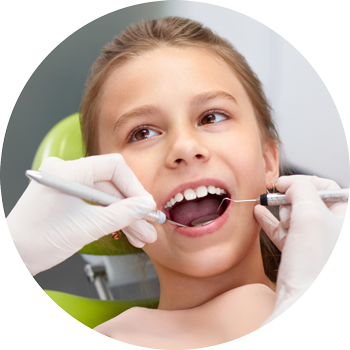 Paediatric dentistry covers the special handling of children up until they reach puberty. Why should I visit a paediatric dentist? Healthy milk teeth support digestion, promote speech development and help to prevent dental malpositions. What happens at the paediatric dentist? The relationship between the child, the parents and the dentist is very important. Ideally, the first visit should take place when the child is between the age of two and three. During this visit we show the child the instruments and explain what a dentist does. If necessary, we can use laughing gas for children. For larger interventions we can use a general anaesthetic so that there is absolutely no pain. Some of our staff members have many years of experience in paediatric dentistry. If a tooth position or jaw correction is necessary, our orthodontists are of course also available.